"Mutual News: 1945 In Review"
Whether or not you choose to celebrate Christmas, the idea of a Holiday is to give everyone time off from work to spend with their families. Some people choose to go skiing or to the beach, for others the day is an excuse to watch football on TV nonstop. Because it is such a big Holiday many businesses will be closed, in fact, more than on other holidays. Some concerns have to be manned, whether it is a holiday or not, by at least a skeleton crew. This includes fire stations, many miitary installations, power plants, law enforcement patrols, hospitals, even gas stations. The point is that despite a Holiday going on, stuff happens, and some of that stuff is interesting enough that it needs to be reported. Some of the reports included in this collection are directly related to the Holiday, while others reflect what is going on in the wide world whether the situation is part of the Holiday or not. A question which needs to be answered is what constitutes news? Many are taught that 'news' comes from an acronym for "North, East, West, and South", which is to say "information about everything. Another compelling acronym theory is "Noteworthy Events, Weather, and Sports", however, people have been reporting news since long before scientific weather forecasting, let alone organized sports. A better explanation of news is that it is the plural of new. The earliest coffee houses arose when England was beginning to industrialize, and they were more than a place to get a morning caffeine jolt, it was a place to hear about new things happening in the world. As literacy increased, enterprising members of the coffee house culture took to writing these bits of new information down so that patrons could read the "news" rather than needing to have it repeated out loud every time someone new walked into the shop. These were the first newspapers. Bill Stern's Sports News Reel, December 23, 1949, NBC net. Bill shares the story of Charles Boland, a German immigrant working as a professor at Harvard University but suspected of being a radical, his reputation was saved when he held a Christmas Party and displayed the first Christmas Tree on American soil. Boland's move to America was inspired by his friends and teachers, Franz Gruber and Josef Mohr, who were not only sports enthusiasts and lovers of liberty, but together composed the hymn "Silent Night" in 1818. The Christmas highlight of the show is Heavyweight Champ Joe Lewis reciting "Twas the Night Before Christmas". 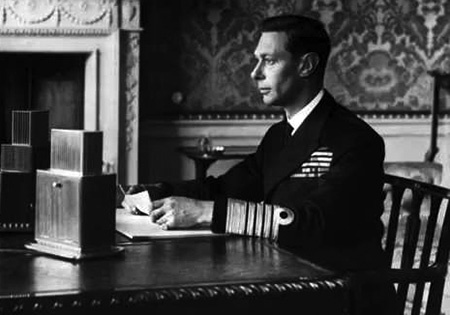 King George VI Christmas Address, via CBS, December 25, 1941. His Majesty takes time to thank those brave men who have come from throughout the Empire to serve in defense of the Homeland. The King speaks slowly and clearly in the broadcast, a reminder of the months of therapy He underwent to overcome a crippling stammer before ascending to the throne. AFRS Command Performance, December 25, 1943. It is the second year of Command Performance and Hollywood pulls out all the stops for an hour and a half gala. In addition to the Best of Hollywood, the troops are addressed by Army Chief of Staff, General George C. Marshall, Secretary of the Navy Frank Knox, and Secretary of War Henry Stimson. AFRS Command Performance, December 25, 1945. The first Peacetime Command Performance, the program was actually recorded in September, just a few days after VJ Day. AFRS in Los Angeles is still dedicated to serving until everyone is back from "Over There". NBC News from Around the World, December 25, 1944. James Stevenson reporting from New York. The Allies have stopped the German push against the American First Army. Reports of General von Rundstedt's advances while the weather has blocked Allied Air Power's effectiveness in what will later be called the Battle of the Bulge. Major Glenn Miller is missing. British News Bulletin, December 24, 1944. Reports of "flying bomb attacks" (V-1 and V-2 missiles) for the first time in Northern England. USAAF Major Glen Miller is missing. Mutual Broadcasting Service 1945 in Review, December 25, 1945. An hour-long look at the biggest stories of the year, including the end of the War, the passing of FDR, the Empire State Building Crash and the beginning of atomic science. A combination of recordings and dramatizations are used. 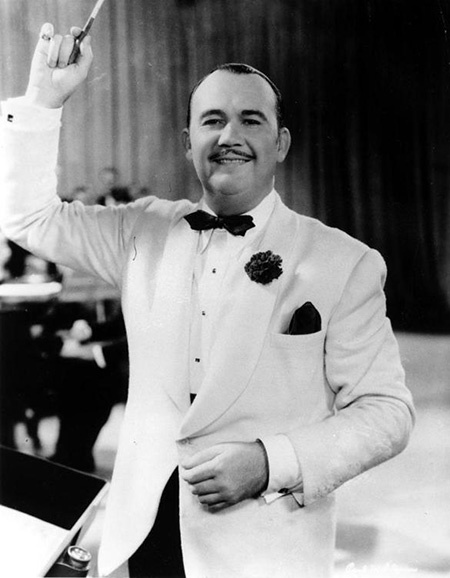 Paul Whiteman's ABC Christmas Party, December 24, 1946. 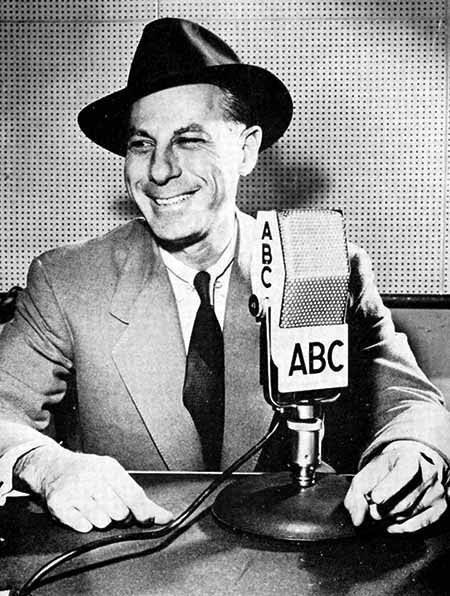 An all-star live variety program hosted by ABC music director Paul Whiteman. After the introductory music number ("Deck the Halls"), we hear an editorial from the host of Jergen's Journal, Walter Winchell. Christmas Day in America, December 25, 1946, NBC, sponsored by Proctor and Gamble. A report of Christmas happenings across the nation as well as across the universe of Proctor and Gamble sponsored soap operas and programs. Meet the Press, December 25, 1960. Dr. Henry Heald, head of the Ford Foundation, is interviewed. The Foundation was founded in 1936 by Henry Ford with the mission of advancing human welfare. Meet the Press, December 24, 1961, NBC. On the night before Christmas members of the press get to interview Sergeant Shriver to gather information on the newly formed Peace Corps which he heads. NBC Monitor, December 24, 1961. 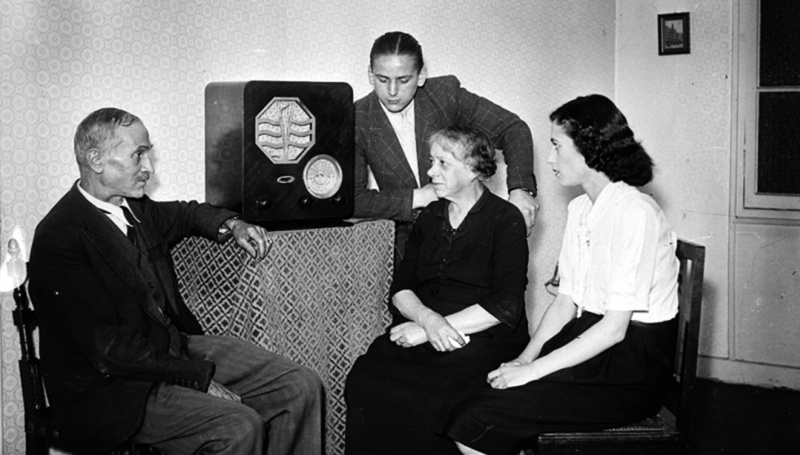 Christmas music and memories along with a report from COL R.L. Gould on how NORAD uses radar to track Santa Claus on his appointed rounds. Be the first to comment on "Christmas News"